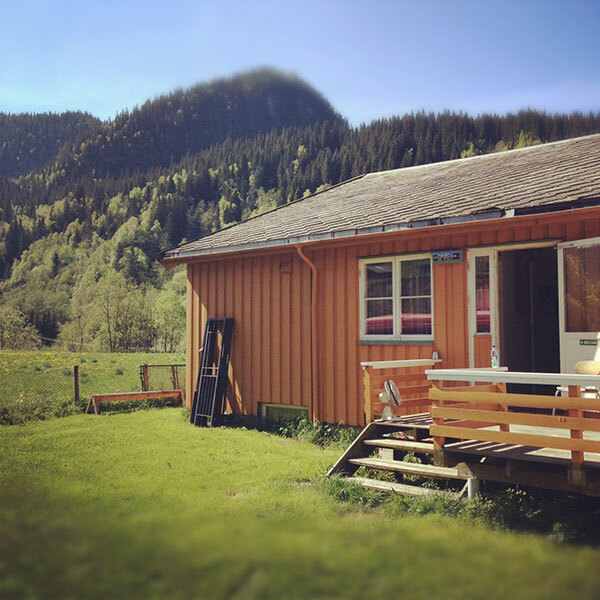 Two weeks ago we visited Spiren Studio for a “creative lock-up” the whole weekend. There has been a lot of riffs, a lot of arrangements, a lot of new ideas swarming around in the rehearsal room the past year – and it’s nearly time to put all the things in place for a new Triosphere album. See anyone familiar playing the guitar in this newspaper article? Norways finest in a guitar deathmatch duel? Kamelot and Triosphere in Trondheim! 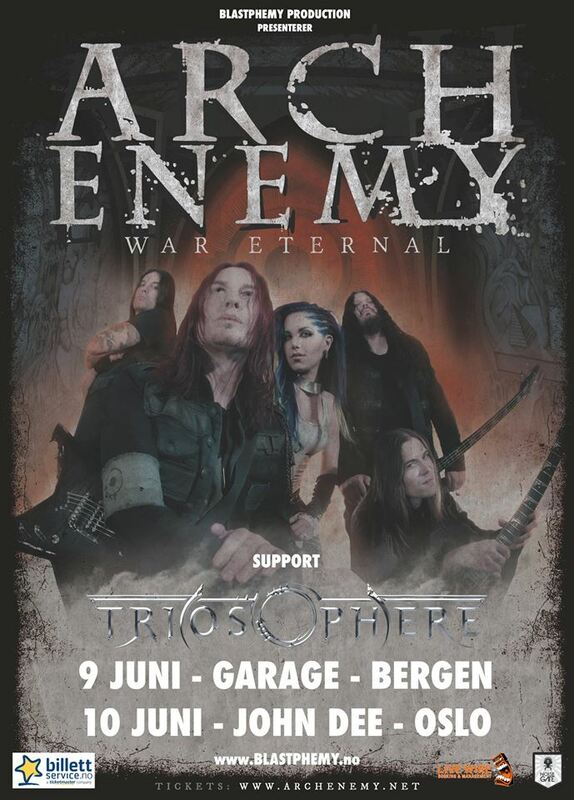 June 7, 2010 / Comments Off on Kamelot and Triosphere in Trondheim! 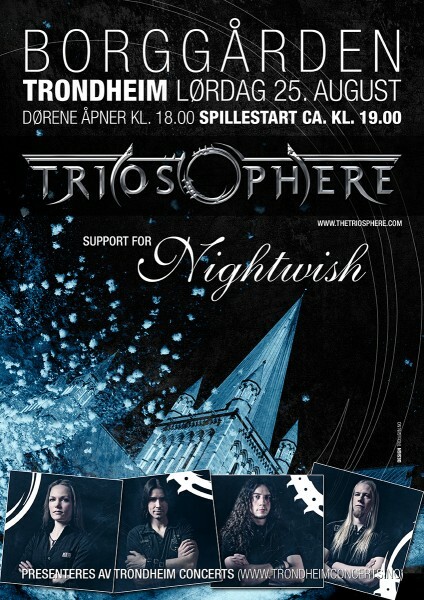 Kamelot plays live at Blæst in Trondheim, and Triosphere has again been given the honour of opening the show! In addition to the scheduled show on July 6th (20 year age limit), there will also be an EXTRA SHOW on July 5th (18 year age limit)! This gives everybody a great opportunity to experience Kamelot at close range in this quite intimate venue TWO TIMES! And of course, we promise to deliver the goods before the masters of symphonic metal enter the stage – with songs from “The Road Less Travelled” as well as some old goodies. Be there! As of today, Triosphere has officially started recording the new and long awaited studio album! The metal is being forged at Trondheim Studio and engineered by Thomas, and the making of a studio diary already started. Stay tuned for updates with photos and video in the following days! For the norwegian readers, check out the last live reviews from Screamfest and the W.A.S.P show in Trondheim! You can find one at Heavymetal.no and another at Eternal Terror. Triosphere will play a concert at Norsk Rock Kafé (Brekstad, Fosen) together with the powerful band Electric Sheriff, also from Trondheim. The concert happening is “charged” by High Voltage Rockeklubb, and the magic date is July 21st. See the Live Decadence section for more dates.